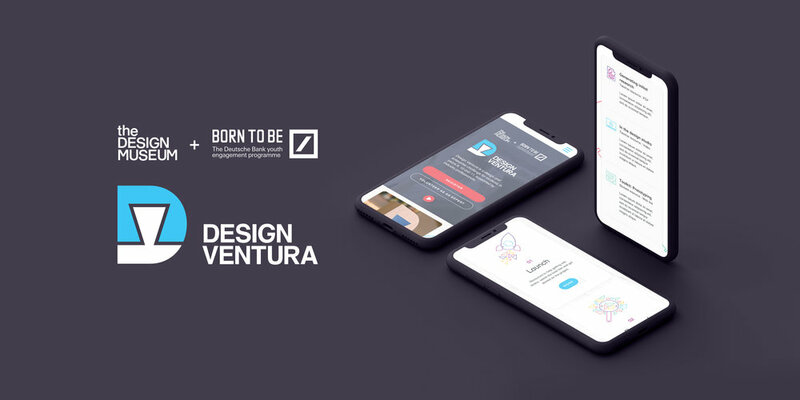 Design Ventura is the Design Museum’s flagship learning project for students across years 9-11. The Design Museum needed a platform for students, teachers and experts to access supporting materials and resources for various stages of the programme. Working within the brand guidelines, we created a new sub-brand identity that complemented existing elements and colour swatches. Icons and graphics served as an opportunity to reimagine and refresh the visuals, make new connections with a wider audience, all while remaining faithful to the original brand.